Latest episodes of the XCHNGR podcast. Take one for a spin. In which our heroes explore a quintessential concept al-bum. Al Stewart. David Bowie's folk - rock roots. Donald Trump's magnificent feedback loop. Dunkirk and Christopher Nolan films. Proust. Nostalgia. Proggy excess, or lack thereof. Al Stewart - Last Day of June, 1934. 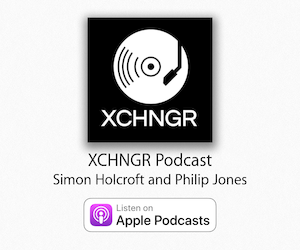 XCHNGR Podcast. Two friends get together to trade music and put the world to rights.